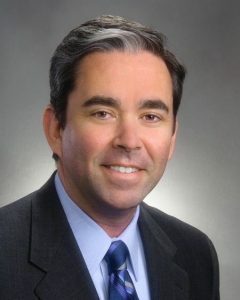 Roger Harvey is a principal with Bose Public Affairs Group and managing director of strategic communications. He also oversees strategic communications for Bose McKinney & Evans. Harvey is a trusted advisor to executive leadership at leading corporations, governmental entities, industry associations, and non-profit organizations. He works with local, regional, national and international clients and has extensive experience in healthcare, energy, manufacturing, life sciences, retail, and economic development. His expertise includes crisis communications, public relations, media coaching, grassroots campaigns, alliance development and advocacy. Prior to joining Bose Public Affairs Group, Harvey spent 18 years working in television news as an Emmy award-winning journalist. His news reports have been featured on MSNBC, CBS, CNN, and Court TV as well as network affiliates across the country. Among his most memorable assignments, Harvey was one of the first journalists to report live using a satellite videophone from Camp Phoenix in Kabul, Afghanistan. He also covered Hurricane Katrina and the mission to rescue victims as the storm hit Mississippi. He reported from New York City within hours of the September 11 attack and was an anchor at the Olympic Games in Sydney, Australia. Harvey is a frequent conference speaker discussing the latest trends in journalism and how to communicate effectively with the media. Harvey is a graduate of the University of North Carolina at Chapel Hill. He’s also completed programs with Lean Six Sigma, Executive Leadership, at the Six Sigma Enterprise Institute and is a graduate of the Business Journalism Program at the American Press Institute, Medill School of Journalism, Northwestern University. Harvey has received three Public Relations Society of America (PRSA) Diamond Awards for excellence in crisis communications and for excellence in public affairs in the East Central District which includes Indiana, Kentucky, Michigan, Ohio, Pennsylvania and West Virginia. He’s been honored with Pinnacle Awards from the PRSA Hoosier Chapter for excellence in the categories of public affairs campaign, crisis communications, media relations and public service campaign. Other awards include an EPIC Award of Excellence from the International Association of Business Communicators, Indianapolis chapter for Multi-Audience Communication Program and an EPIC Award of Excellence for Media Relations Communications. The Indiana Society of Association Executives presented Harvey with a STAR Award of Excellence for Best Community/Philanthropic Program. Harvey has received journalism awards from the National Academy of Television Arts & Sciences (NATAS) Washington, D.C., and Cleveland, Ohio, Emmy chapters; the national Scripps Howard Foundation; the Edward R. Murrow regional award from the Radio-Television News Directors Association; the Society of Professional Journalists; and the Associated Press. Among his statewide honors, he was named the Associated Press Reporter of the Year. The Indiana Broadcasters Association selected his investigative work as “Story of the Year.” He also won a CASPER Award for community service in investigative reporting. The Indiana Health Industry Forum (Board of Directors), The Julian Center (Board of Directors), St. Mary’s Child Center (Board of Directors), FBI Citizens Academy, Indianapolis Chapter (past board member), Culpepper Journalism Foundation (Board of Directors), Public Relations Society of America and the Hamilton County Leadership Academy. He is a graduate of the FBI Citizens’ Academy and the Carmel Police Citizens’ Academy. He frequently serves as an emcee for numerous charity galas and golf events.